Any time post payment submission, your payment may be subject to review, which serves to better understand the nature of and reason for your payment. 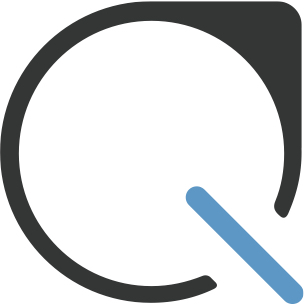 During this review process and for any reason, Plastiq may place a temporary hold on the delivery of your payment, and may request more information from you including but not limited to verification of your identity, an associated bill, invoice, lease, or other evidence of your payment terms with the recipient. Providing the required documentation in a timely manner will help expedite the review process. For some payments, an invoice may be required during payment submission. To find acceptable file types, please read here. What if I don't have documentation? In some cases where you do not have a formal agreement when asked for a specific payment, you may provide copies of past payments showing an established payment pattern. My documentation contains sensitive information. Your payments are important and Plastiq strives to uphold the highest level of security. Should your bill, invoice or lease contain sensitive information, please redact any information that does not take away from the initial ask of the requested documentation. NOTE: Plastiq does not allow peer to peer payments and additional information, as explained above, may be required to process payments. Communications from our Account Services team may be initiated via email or phone call using the contact details you provided for your Account. You acknowledge that Plastiq’s ability to efficiently and effectively review your Payment is reliant upon your cooperation, and you absolve Plastiq from any negative impacts to the delivery of your payment arising from delayed, incomplete, or insufficient responses to our inquiries. At its sole discretion, Plastiq reserves the right to cancel any payment. In such cases and as permitted by applicable law, your funds will be returned to you via the original payment method. You relieve Plastiq of any liability you may incur, including but not limited to late fees, penalties, or interest due to Payments that are held, denied, or reversed.